Woop woop! the Killingworth Castle and our sister pub, The Ebrington Arms have both scooped a top organic award! Our pubs have now proudly joined only 10 other pubs and restaurants throughout the whole of the UK to achieve 3 stars or above in the ‘Organic Served Here’ awards scheme, run by The Soil Association. A recent rise in conscious consumerism, and a desire to know where our food is from, has contributed to the more organic than ever being eaten in the UK. A recent Soil Association poll revealed that 50% of people are more likely to choose a restaurant that highlights its ethical and sustainable credentials and 43% of people think that having organic on the menu makes a restaurant more appealing. 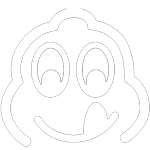 Both pubs are also recommended in the Michelin Guide and hold 2 AA Rosettes for food. If you fancy a foodie break, check our sample menus and room offers. What better way to nail your Christmas shopping this year than by combining it with a Cotswold mini break? Shop til you drop at designer outlet Bicester Village, historic Stratford Upon Avon or a whole host of gorgeous independent festival Christmas markets. We’ve listed them all in our area so you can plan in any shopping recovery in front of our roaring fires with 2 Rosette food and gorgeous relaxing bedrooms. Take advantage of our 3 for 2 night and Winter deals - treat yourself & take the pain out of the shopping this year! Stratford Upon Avon - 7-9th - Big Christmas fair with over 150 stalls! So over the moon right now to be able to announce that we were awarded 2 AA Rosettes for our food this week. As usual the AA inspectors somehow managed to avoid our radar and surprise us in the morning after a nights stay and dinner the night before. Good job every customer is a VIP at The Killingworth Castle!! According to the AA, 2 Rosettes are only awarded to "the best local restaurants, which aim for and achieve higher standards, better consistency, greater precision is apparent in the cooking and obvious attention to the selection of quality ingredients." We join only a handful of foodie pubs in Oxfordshire to receive this accolade and are very proud of our hardworking team. 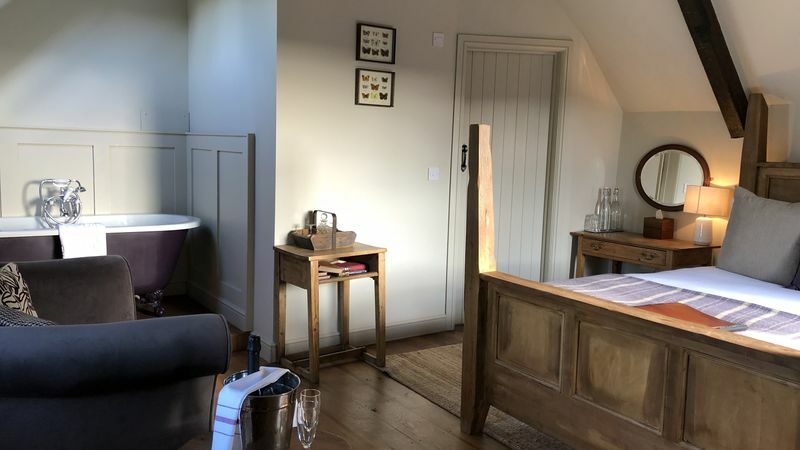 So if you want somewhere to eat if you're visiting nearby Blenheim Palace, or just fancy a night away in a lovely country pub, then check out our menus and rooms . I feel that the tide might be turning for our independent pubs in the UK. Some of the big restaurant chains are announcing big closures. An independent pub offers a unique experience and focuses on local produce and knowledge for locals and tourists alike. With our new Head Chef, Dave Hall fully ensconced with a great team both in the kitchen and front of house we are so glad to get this recognition as a foodie place in our beautiful Oxfordshire. If, like me, you think you don't like going to the circus, then you should take yourself off to see Gifford's Circus. It is a spectacular show that captivates your imagination like no other. Nothing Disney about this show, this is real life actors, fabulous show people, daring gymnasts and a clown famous in his own right, Mr Tweedy! Two key things: 1. It's beautiful, a traditional tent structure, costumes, set and sequences that must take half a year to perfect and 2. It's REAL. Nothing fake, just honest and inspiring entertainment. The circus tours all over the Cotswolds and it's coming to nearby Daylesford Organic in Kingham on 24th MAy-4 June and our neighbourhood stately home Blenheim Palace on 7-11 June. It's accessible, fun and utterly exhilarating for all ages. If you've never been BOOK TICKETS NOW! Do Not fear...the weekend is here! It's been a looong week and what with all of the extra snow dumps this Winter, it's felt like Spring is really taking its time to arrive.... So we thought we'd reccomend a few things to do this weekend or book now to look forward to! A 400 year plus house and garden that is like stepping back in time. The house and garden are open this Saturday and Sunday 1-5pm. It's a stunning example of early 17th century architecture with a Jacobean garden including a 400 year old tree and beautiful topiary. It's a house bursting with history too, with links to the Jacobite Rebellion, the Gunpowder Plot and as the home of croquet! Near Moreton in Marsh. But if you want to make the most of St Patricks Day then come to the pub. We've got live music this evening from two bands and during the day we've got some lovely special Irish lamb stew on the menu and the stout will be flowing through the Six Nations finale! See details below. And finally, how about booking tickets to have something amazing to look forward to? Blenheim Palace are running some amazing gigs in the ground this Summer and what a backdrop!? With the palace just round the corner from us, why not book some tickets and have a night away with us? Winter's coming...have a night on us! Oxfordshire is so vibrant in the Autumn & Winter. To celebrate our fifth Winter at The Killingworth Castle, near Woodstock, we are giving away a free nights' luxury bed & breakfast. The seasonal colours at Blenheim Palace, round the corner from us are stunning this time of year. And after the explosion of reds and golds, the palace does Christmas like nobody else when it is decorated within an inch of its life. Tastefully of course! Local towns and villages put on some of the best Christmas markets in England and with Bicester Village round the corner, it's a cracking spot for Christmas shopping. So use Christmas shopping as your excuse and come and have a stay with us, we're right at the 'Gateway tot he Cotswolds' and bed down with a large glass of red in front of the fire. It's all about you at this time of year so orchestrate your escape now! Or sod the shopping and just have a foodie break. Most of our regulars know about our newsletter (you can sign-up at the footer of our website home page). If you haven't already our Winter Deal is a free nights B&B when you book two nights (See website for Ts & Cs). All you have to do is eat dinner with us on at least two of the three nights (such hardship :)). You can book this directly on the website or give us a call to take advantage T: 01993 811401. Our new Head Chef, Chris Ellis is taking food at 'The Killy' to a whole new level right now. Chris used to be Head Chef at our sister pub, The Ebrington Arms near Chipping Campden, where we've retained two AA Rosettes for seven years. We were sad to see him go earlier this year but it was thankfully short lived as he called and said he wanted to come back into the fold. Although we're sad when good staff go, we're exceedinly proud when we've been a stepping stone in helping them reach their next role, or even a dream job. It sounds and literally was cheesey for our General Manager a couple of years ago - he had always dreamt of running his own cheese empire / deli and now he's doing it very successfully. Chris decided the grass was in fact greener back in the 'happy dysfunctional family' of our Yubby pub team (a term coined buy one of our staff also) and we couldn't be more happy to welcome him home. Running alongside some creative a la carte dishes, Chris always has some pub classic dishes, but executed to the next level. If you order a pie for example, it's encased in proper homemade pastry and packed with the highest quality meat so we hope it's one of the best you've ever had. But don't take it from us how good he is, like some sad gushing parentals... take it from the powers that be, the Chief Food Critic from The Oxford Mail and The Oxford Times, Katherine McAlister, and come and try us soon!